Beyond Belief: The Secret Lives of Women in Extreme Religions is available as a print and e-book at Amazon, Barnes & Noble, IndieBound, and at your local independent bookstore. Book Giveaway Contest: To win a copy of Beyond Belief: The Secret Lives of Women in Extreme Religions, please enter using the Rafflecopter form at the bottom of this post. The giveaway contest closes next Friday, August 30th at 12:00 AM EST. We will announce the winner the same day in the Rafflecopter widget. Good luck! 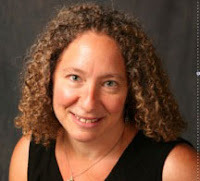 Cami Ostman is an author, editor, life coach and a licensed marriage and family therapist with publications in her field. She blogs at www.7marathons7continents.com and on the psychologytoday.com blogger team. 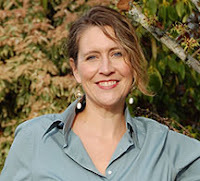 She has appeared in several publications, including O, The Oprah Magazine, Fitness Magazine, Adventures Northwest, the Mudgee Guardian in Australia, and La Prensa in Chile. Her first book, Second Wind: One Woman's Midlife Quest to Run Seven Marathons on Seven Continents, was published by Seal Press. Cami is a runner and a dog lover who lives in Bellingham, Washington. As a writer, editor and researcher Susan has worked on a variety of academic articles exploring psychology, feminism and religion. Susan’s interest in these subjects led her to become an editor for several non-fiction titles including Faith and Feminism and Rachel’s Bag. Susan works as a grant writer and developmental consultant. She lives in Bellingham, Washington, with her husband, Michael. WOW: Cami, will you tell us a bit about yourself and your background? Have you always wanted to be a writer? One of your primary interests is memoir writing; what advice can you give others who would like to see their story published? Cami: Thanks Crystal. Yes, I've wanted to be a writer since I was about nine years old. I wrote my first poem the first time I saw the Pacific Ocean. The sound of the waves and the vastness of the Pacific overwhelmed me; I felt I had to do something to express my feelings, so I wrote a couple of verses with an abab rhyme scheme. Over the next two and a half decades I rarely published, although I kept writing privately. When I discovered that I loved to read memoirs, I knew that would be the first genre I would want to publish in. In 2010, my dream came true when Brooke Warner at Seal Press loved my book idea [Second Wind: One Woman's Midlife Quest to Run Seven Marathons on Seven Continents] and offered me a contract. For other memoir writers who would love to see their words in print, my first piece of advice would be to develop relationship with a community of writers. Start blogging (if you're not doing it already). Develop a sense of what people want to read and connect with your audience. Relationships with other writers and with my reading audience has been one of the most enriching aspects of publishing. WOW: Just from working with you, I can tell how important relationships are; it has truly been a pleasure. Cami, When did you first consider yourself a writer? Cami: Well, although, I've been writing creatively since I was very young, I've only recently begun to own my identity as a writer. Even after I published my first book, I continued to tell people that I was a "teacher" or a "therapist"—my two other professions. I think it has been the opportunity to support other writers in telling their stories (through editing and writing coaching) that has made me aware of how important it is to say, "I'm a writer." Now when people ask me what I do, "writer" is the first definition I give myself. WOW: I love how you said “own my identity”—I think that’s something lots of writers struggle with. Now here’s a question for you Susan! Both feminism and religion can be a touchy subjects; were you at all fearful about this or were there other challenges to overcome in taking Beyond Belief to print? Susan: The idea for Beyond Belief came to me over six years ago when I was in a memoir writing class. 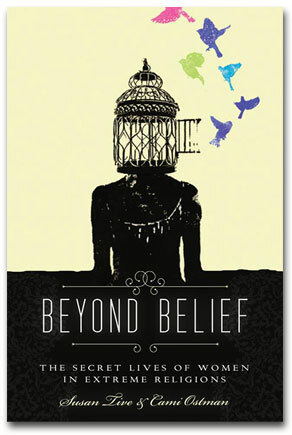 Previously, I had worked on other books that explore the topics of women and religion, and the commonalities between feminists and women of faith so I was truly thrilled to take on the Beyond Belief anthology. In the memoir class, I met Cami and another writer who had also joined, lived in and left a traditional religious practice. Through our writings and discussions I realized how much we had in common. It was healing and powerful for me to share my story and I wanted to expand the conversation and invite more women to tell theirs. I was never fearful, but actually very excited, Beyond Belief felt like the right next book project for me to take on. Because Beyond Belief is not a pro- or anti-religious book but strives to give voice to women’s stories it is accessible to everyone regardless of their own personal belief. In editing it we tried very hard to focus on good stories, important questions and an open ended tone which would invite readers from many different viewpoints to engage in the conversation. WOW: That’s a great way to look at it Susan, it’s not really pro or anti religious. I had some people ask me that very question when I began talking about your tour—thanks for that clarification! Here’s a question for both of you: What is your favorite book? What is it about that book that you love so much? Susan: Right now I am in love with Middlemarch by George Eliot. First of all, I am envious that she was able to write an 800-page book and find a publisher! But seriously, her writing is so exemplary of a strong feminine voice and perspective, her insight into human nature so shrewd and accurate. Her observations about society and relationships feel as relevant today as they were in her own time. I love novels that create their own world in all its particular detail while at the same time laying bare timeless universal truths that feel fresh and as if they came out of my own experience. Cami: Choosing one book as a favorite feels impossible, but let me give it a try. If I were stranded on a desert island with only one book to read over and over again I think I would have to choose The Scarlett Letter by Nathaniel Hawthorne. That book has so many nuances that I could read it over and over and never mine to the bottom. If you let me have a second book on the island, I would choose Women Who Run with the Wolves by Clarissa Pinkola Estes. As a psychotherapist and as a woman, I've learned from that book how to see the world in terms of metaphor. Having come from a pretty literal way of thinking in terms of my religion, donning the lenses of metaphor was a glorious revelation to me. WOW: It certainly is hard to pick just one book, and don’t worry when I ask you again next time you can give a different answer (I usually do). Cami, one of the topics you offered for your guest posts during the WOW! Tour included Women’s Empowerment. When did you become interested in this and can you tell us more about how you personally became empowered and why you’re so interested in helping others? Cami: Absolutely! I was a late bloomer in growing into a healthy sense of empowerment. It was easy for me (and I know it's easy for many other women) to make pleasing others the primary goal in life. For years I grappled with how I could be strong and stand up for myself while still nurturing my relationships with others. I went to graduate school to become a therapist partly because I was looking for answers to my own questions about how to authentically honor myself and become a strong woman. I'm not saying I've figured everything out at this point, but I have now learned how to be true to my values even when challenged. I want every woman to have that freedom and strength. WOW: Strong and nurturing at the same time, that’s quite a goal and now that you mention it, that’s exactly what I want for my daughter. Susan, do you feel there is a difference between religion and spirituality? Can you give readers your take on this topic and explain a little bit more for us? Susan: Yes, I do differentiate between religion and spirituality. I believe we are all spiritual beings. As humans we have a spiritual nature that we are born with, it is part of why we wonder, ask questions, seek meaning and connection in our lives. Religion is the codification or organization of this natural urge into a practice and set of rules and rituals. Religion is created by men to harness or direct this natural human impulse and to make it standardized and widespread. There is much about religion that is good and does help people to live better lives and treat one another with care. It is when the rules of a religious practice become an end in themselves and are no longer working with but against the spiritual nature of man that they can become extreme. WOW: Susan, that was a relatively short answer but very deep. Thank you for sharing that differentiation with us. The last two questions are for both of you. Any sneak peeks for us about what is in your future? Susan: I’m working on my memoir about my ten plus years living in Orthodox Judaism. Writing a memoir is a challenging process and especially when it involves questions of religion and spirituality. I want to write this memoir because I want to understand why I made the choices I did. What was I looking for, what was missing outside of a religious life? I also want to confront some of the sadness I feel about having to leave, and what I miss and why. Many people are quick to assume that an extreme religion is discriminatory especially for women. In my story however, I gain great strength and power from my religious community and practice. I think it is important to highlight both the pros and cons of extreme religion and what it is really like for women on the inside. Cami: I'm working on a book project I'm calling Chasing the Goddess. I'm in the process of visiting several sacred sites around the world where feminine deities are or have been revered. My hope is to find a way to really activate the goddess archetype—the sense of a strong, sacred, feminine energy that might offer an alternative to the "power over" energy of masculine-oriented spirituality—in myself and in the world. I believe that that which is personal is also political (and vice versa, of course) and hope that what I learn will trickle out from me into the way I operate in the world. I grew up steeped in the idea that I was made in the image of a masculine god; I now want to explore what would happen to my worldview if my baseline myths were feminine in their focus. Anything you’d like to add as far as future plans for your writing or your family? Susan: I have been writing ever since I was a young girl. When I was ten I told my mother I wanted to be a writer and she said, “writers write.” So I wrote in a journal or diary almost every day and would not let myself go to sleep unless I filled up at least a page in my diary. While I have long ago accepted the fact that writing is a solitary task I have more recently begun to appreciate the communal aspect of writing, and the collaborative effort it takes to publish and to keep motivated. I encourage anyone who wants to write to seek out others of like mind, join a writing group, read at an open mike, take a class and put yourself out there. Cami: My first book was a memoir of how I ran the marathon distance on every continent (Second Wind: One Woman's Midlife Quest to Run Seven Marathons on Seven Continents). Running continues to be a huge commitment in my life. This year I'm training to shave an hour off of my average marathon finishing time (bringing me down to 4.5 hours if I pull it off). Following that, my husband Bill and I are hoping to complete a marathon in every U.S. state (ten down, forty to go). If you're a runner—or a walker—follow my longstanding running blog that Crystal mentioned above for encouragement and a fun training and travel log. Giveaway of the intriguing anthology Beyond Belief: The Secret Lives of Women in Extreme Religions and your chance to join Cami as she writes about the insightful topic of “Remaking Yourself After Divorce”. Get in on the giveaway and join Stephanie as she reviews the anthology, Beyond Belief: The Secret Lives of Women in Extreme Religions by Cami Ostman and Susan Tive. Read what Susan Tive writes in her guest post about “Feminism and Religion” and get in on the giveaway and your chance to win a copy of the anthology Beyond Belief: The Secret Lives of Women in Extreme Religions. Read what Renee's thoughts were after finishing the anthology, Beyond Belief: The Secret Lives of Women in Extreme Religions and partake in the giveaway for an opportunity to read this one for yourself! Thursday, September 12 @ Read These Books and Use Them! Don't miss your chance to win a copy of Beyond Belief: The Secret Lives of Women of Extreme Religion and join Margo as she shares her thoughts after reading this thought provoking anthology. Don't miss your chance to win a copy of Beyond Belief: The Secret Lives of Women of Extreme Religion and join Nicole as she shares her thoughts after reading this touching anthology. Join Susan and Cami as they enjoy the author spotlight at CMash Reads today. This is your chance at a giveaway for the anthology Beyond Belief: The Secret Lives of Women in Extreme Religions. Cheryl has done a fabulous job with an in-depth author interview and excerpt especially for you. Enjoy! Don't miss this opportunity to win your own copy of the moving anthology Beyond Belief; The Secret Lives of Women in Extreme Religions this is one book you don't want to miss. Read a review just as expertly written as the book as Kelli shares her thoughts. Today is your day for a giveaway of the anthology Beyond Belief: The Secret Lives of Women in Extreme Religions. This is also your opportunity to join Susan and Cami for a guest post titled: "Why Women Stay in Religious Communities"
Book Giveaway Contest: Enter to win a copy of Beyond Belief! Just fill out the Rafflecopter form below. We will announce the winner in the Rafflecopter widget THIS Friday, August 30th. Book Giveaway Contest: Enter to win a copy of Beyond Belief: The Secret Lives of Women in Extreme Religions! Just fill out the Rafflecopter form below. We will announce the winner in the Rafflecopter widget THIS Friday, August 30th. I'm one of those women, though I didn't write the story. Thank you for covering such a complex and important topic. I left the Mormon church. I'm excited to read other stories. Thanks for your openness and honesty, Cami and Susan. Beyond Belief, and this short interview (thank you Crystal) are inspiring and offer women (and hopefully men) much to think about in our own lives. Wow this book sounds amazing. So glad I stopped by the blog today. Thank you for sharing your book and your passion with us. Sounds like a great book. Best of luck on your blog tour. I usually just scan the WOW synopses of books on the blog tour but this one compelled me to read on. I am the twin sister of a Franciscan nun in a very conservative order in North Dakota. For years I found her embrace of such a vocation mystifying, especially as I was off being the liberal, adventurous one. Time changes many of our assumptions about life choices. I look forward to reading this book. The power of the responses Susan and Cami made to the interview questions convinced me. Thanks for writing this important and timely book. So interesting to read this interview. I like the response about religion and spirituality. This sounds like a really good book! How wonderful that these women were able to choose their own path. I am very honored to be one of the contributors to Beyond Belief. I've also had the pleasure of meeting Susan and Cami. They're delightful, insightful women. This book is a must-read for women who need to dig deeper and understand what they believe and why. This sounds like an excellent choice for my book club. We love a lively discussion. Wonderful interview, Crystal, Susan & Cami! I can't wait to read this book. I think this is an important book that gives voice to many woman who would otherwise go unheard. Thanks for the wonderful feedback everyone. We hope you enjoy the book and that it starts plenty of important conversations around dining room tables everywhere. This book is a compelling read and I'm excited to be part of the tour! I'm so glad to hear all the conversation about this anthology and the tour but about the topic as well. Sometimes it can be scary to even bring up the subject of religion (or politics) and it's nice to see this open sharing. Thank you each and every one of you, and best of luck with the giveaway! This is definitely an unforgettable read! If you missed out on the first giveaway - TODAY is your second chance!!! !